Bread and Cocoa was probably the only place opened before 11am on a Sunday in San Fran’s Financial District. We were idling around down town for somewhere to eat and luckily, Bread and Cocoa was opened. We got a seat next to the windows and not only was the California sun blazing in, but the cafe was located at a great people watching spot. 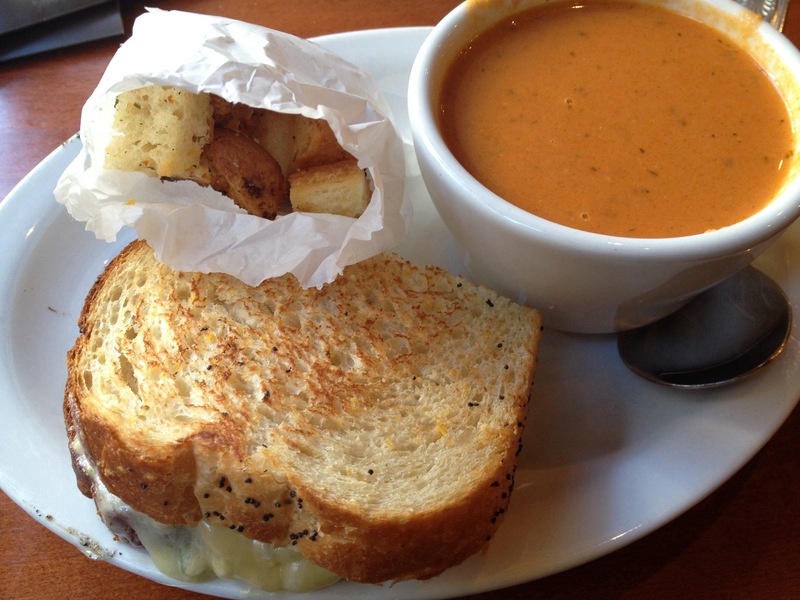 I was hungry for something salty, warm and filling, so I ordered the Lunch Special Tuna Melt with Tomato Soup (USD8.90). I had the option of choosing half or whole sandwich as well as a soup or salad. Melting with cheese, mayo and albacore tuna, every chomp was creamy and fishy. The tomato soup was thick and rich in an aromatic tomato flavour that I couldn’t even finish the cup with all the heaviness from the sandwich. 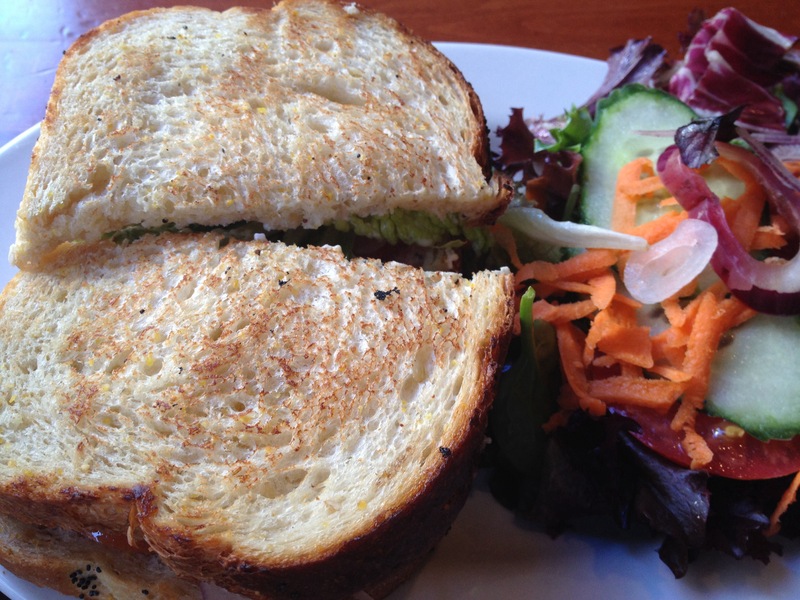 Going for a simpler yet sweet choice, this is the Lunch Special Turkey Cranberry Sandwich (USD8.90). I enjoyed cranberry bits that gave the turkey ham a speck of sweet tease and the salad was incredibly refreshing and healthy. I would also say that the cranberry and turkey was like Thanksgiving in my mouth all over again. 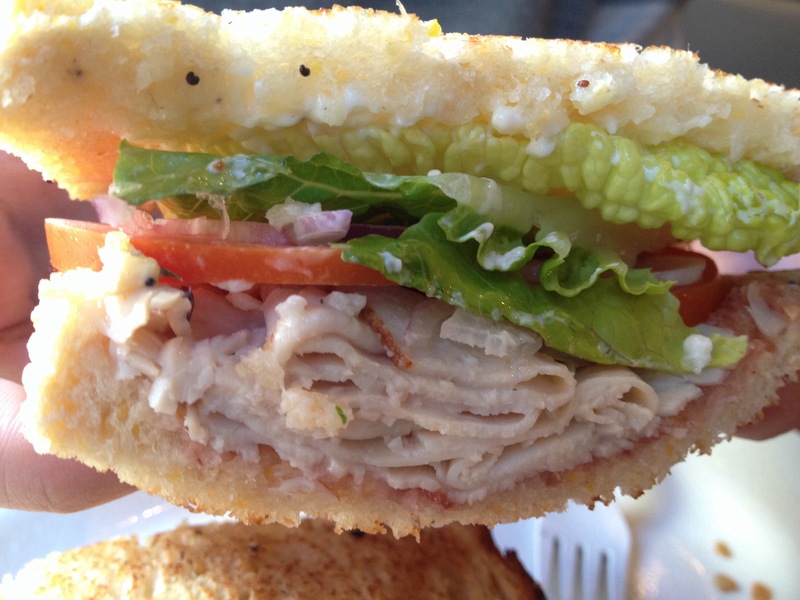 Take a while and just enjoy a thick sandwich jammed with turkey and fresh crispy veggies.